Helping companies get a quick and simple overview of sales activities. Quicky Forecast came to thoughtbot with a lot of experience in sales. 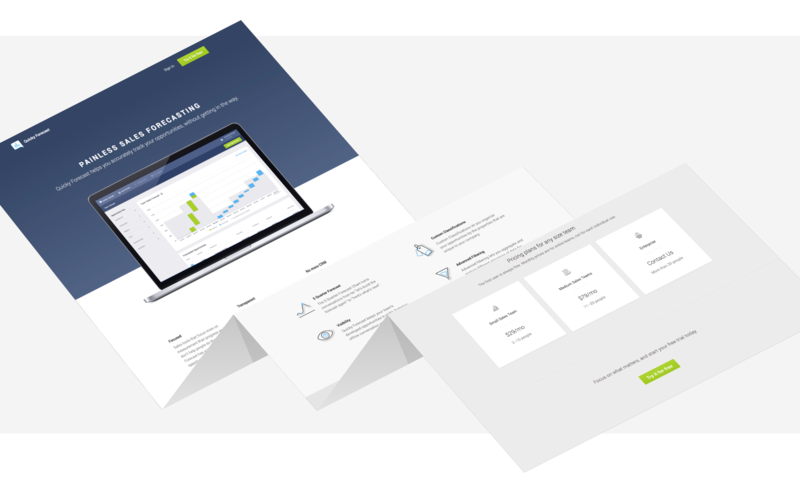 Having dealt with numerous frustrations around bad sales getting in the way of simple forecasting, their idea was to build a sales forecasting tool that would improve efficiency, user experience, clarity and work flow. Many forecasting tools focus on measurement rather than progress and quality, making it hard for users to get a true overview of opportunities. Customer relationship management softwares (CRMs) are usually overpriced and unnecessarily complex. In a worst case scenario they give sales people the means to disguise their actual progress. Quicky Forecast removes this illusion of activity, by offering a UI that promotes simplicity and transparency. In just a glance, the entire team is allowed to understand the sales forecast situation, see what's closed, what's forecasted and when. 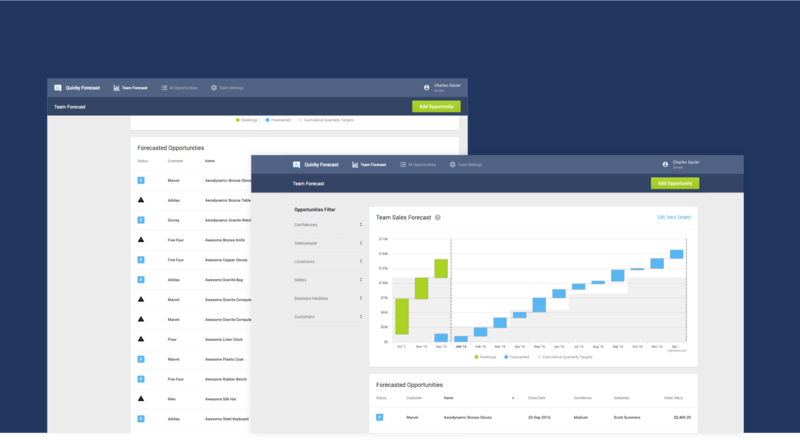 Rather than just generating sales forecasts weekly or monthly, Quicky Forecast is always available and ready. thoughtbot built a lightweight tool, carefully prioritizing which features were to be added, as many were inter-related, providing auxiliary benefits. The primarily focus was put on streamlining the critical path, designing a rich interactive interface for different ways of viewing data, and making sure the chart really provided the right information. At the heart of the app, the featured five-quarter rolling forecast chart is always up to date, letting users quickly know the team's progress. The app was launched and through studies of usage and user feedback both thoughtbot and Quicky Forecast now have the context to determine which additional features are most critical to long-term success. Quicky Forecast is live at quickyforecast.com. Realtor.com came to thoughtbot looking to make it easier for homeowners and home-buyers to find, compare, and research Realtors® through their existing Realtor.com profile search experience.